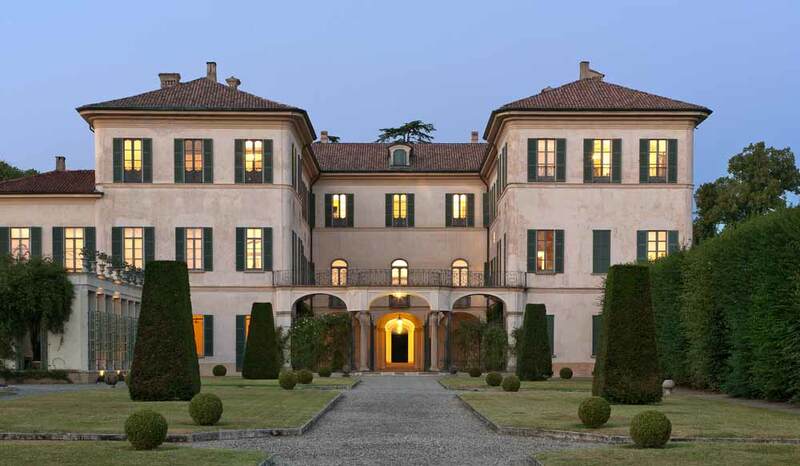 Villa e Collezione Panza hosts one of the most famous contemporary art collections in the world. The Villa is a wonderful mansion located in the heart of Varese and it preserves its ancient spirit along with a modern look towards art. The Villa was built during the 18th century thanks to the Marquis Paolo Antonio Menafoglio, who wanted a “stately home” to host parties and smart-set events. Its “U” shape is still typical for the Baroque Age and its cour d'honneur does not face the entrance but the garden in order to create an intimate and private atmosphere. The 33,000 square meters park makes the Villa even more fascinating and offers to the visitors the opportunity to enjoy some spare time surrounded by art and nature. In fact, the magnificent garden features romantic spot as well as appealing “surprises” thanks to the project Art in Nature: site-specific works of art created by Stuart Ian Frost and Bob Verschueren. The visitors’ amazement continues inside the Villa, where the collection of contemporary works of art is displayed. Thanks to his extraordinary vision and spirit of patronage, Giuseppe Panza di Biumo started his collection in the 50s, since he was attracted by the new European and American trends, which were recognized by critics and public only years later: the research carried out by Dan Flavin – whom Panza Collection boasts of one of the most important collections of -, the environmental art installations by James Turrell, Robert Irwin and Maria Nordman, the monochrome canvases by Phil Sims, David Simpson and many works by artists like Anfonso Fratteggiani Bianchi, Ruth Ann Fredenthal, Max Cole, Martin Puryear, Ford Beckman, Ross Rudell, Ettore Spalletti, Lawrence Carroll, Stuart Arends, Allan Graham and Winston Roeth. 188 Panza Collection’s works are still displayed with absolute harmony in the rooms of the Villa, and this creates surprising matching with the rich furniture dating back to the period from the 16th to the 19th century. Other pieces of art are displayed in some of the most important museums of the world: from the Solomon R. Guggenheim Museum of New York, to the Museum of Contemporary Art of Los Angeles (MOCA), from the Hirshhorn Museum of Washington D.C. to the Albright-Knox Art Gallery of Buffalo and to the Museo Cantonale d'Arte of Lugano.. This shows Giuseppe Panza di Biumo’s far-sightedness, artist sense and commitment: in fact, thanks to him Villa Panza, that was donated to FAI - Fondo Ambiente Italiano in 1996 and opened to the public after a long period of restoration in 2000, is recognized among the best cultural expressions of the second half of the 20th century. Fondazione senza scopo di lucro. Riconosciuta con DPR 941 del 3.12.1975 Reg. Persone Giuridiche Prefettura MI n.86 - C.F. 80102030154 - PEC: 80102030154ri@legalmail.it.